Three years ago, as Ship’s Mage of the starship Blue Jay, Damien Montgomery was pursued to the edge of human space by both the agents and enemies of the Mage-King of Mars — before being brought in from the cold. Now, trained in new skills by the Mage-King himself, Damien has been sent to the planet Ardennes alongside Alaura Stealey, Hand of the King. A rebel movement there has destroyed cities fighting a Governor seemingly lost to corruption. But not all on Ardennes is as it seems. As allies becomes enemies and an entire world comes apart in chaos around him, Damien will find both his skills and integrity tested to the utter limit. 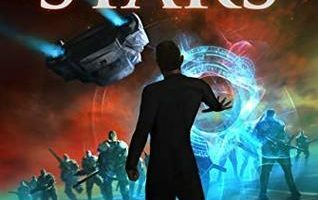 I think one of the best choices I made last year was picking up a copy of Starship’s Mage by Glynn Stewart, I loved it from the moment I picked it up and I still think there is something really special about it that makes it stand out when compared to other books in the genre. So I was both excited and apprehensive when I bought the audiobook for the second book in the series. 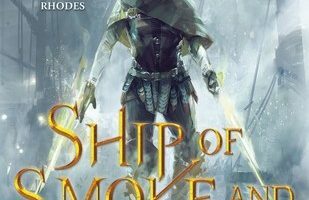 But Hand of Mars turned out to be an amazing book that I thought was so much better than the first that it was hard to believe. I actually ended up going a day without sleep because I stayed up too late listening to it, but I think it was well worth being tired for the day. There really wasn’t much that I didn’t enjoy about this book and I could probably go on for paragraphs about why I think everyone should go out now and pick up a copy, so I will have to focus on just one or two aspects of the book. 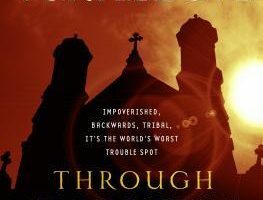 I think my favorite part of the entire book would be the characters — they are all so well written that I think it’s very easy to empathize with them and get sucked into their various stories. Even the bad guys are great, they are the kind of bad guys you just love to hate. Second would be how much I think Glynn Stewart improved on the story. In Starship’s Mage, Damien and the crew of the Blue Jay are jumping from world to world and so much of the story was driven by the technology and magic. In Hand of Mars the story takes place almost entirely on a single planet and I really think that helps focus the story and make it really driven by the characters more than anything else. 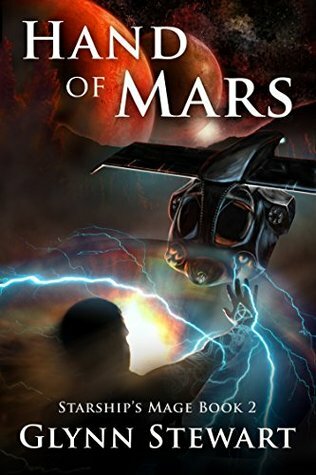 Like the first book, I listened to Hand of Mars instead of reading it and my opinion on the narrator hasn’t really changed. Jeffrey Kafer does a great job narrating this book. I think every character has their own unique voice which were easy to tell apart. He also manages to infuse his reading with a lot of emotion you can really feel what the characters are feeling when he narrates. 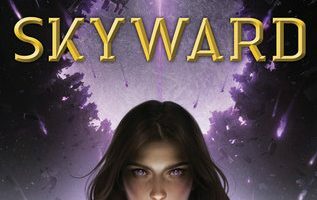 I can’t suggest this book and series to people enough and while I think anyone would enjoy reading it, I think fans of science fiction and fantasy would appreciate it the most. It’s a great combination of the two genres.